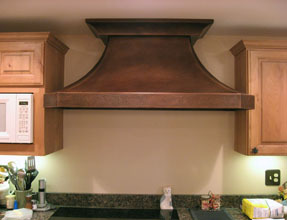 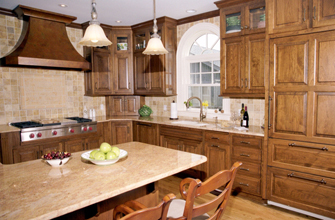 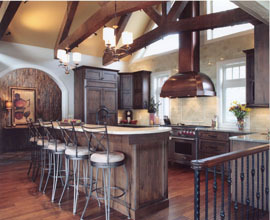 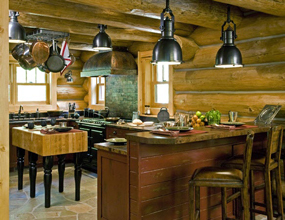 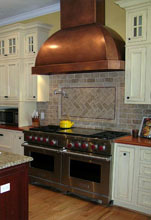 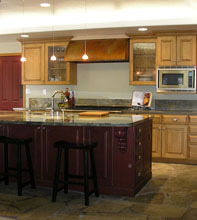 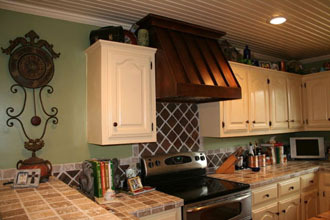 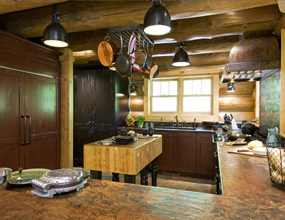 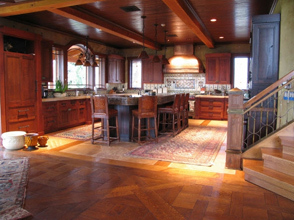 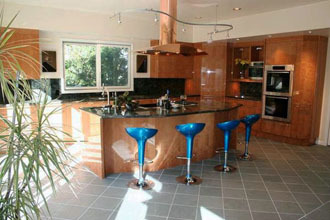 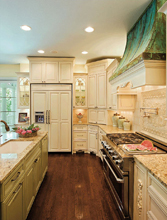 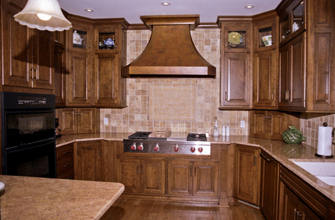 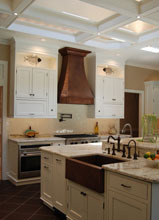 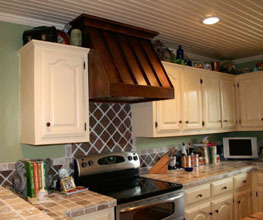 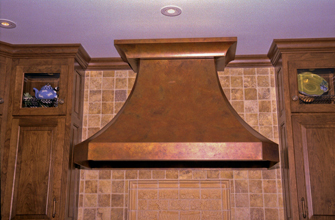 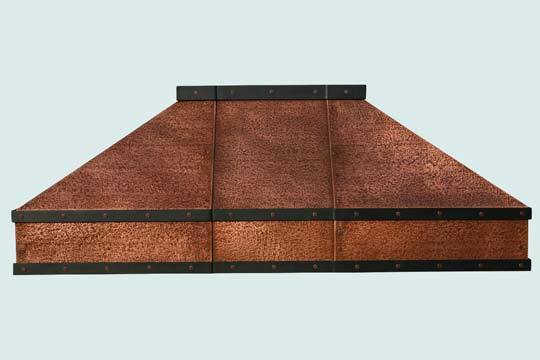 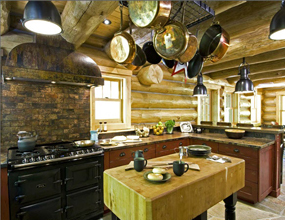 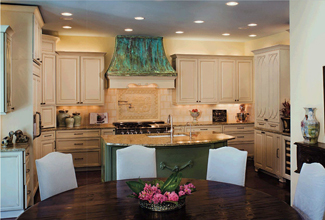 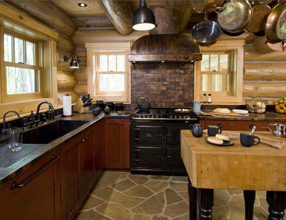 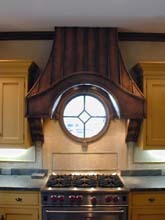 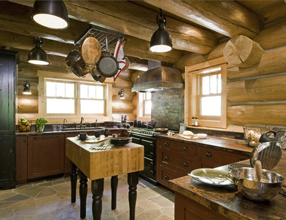 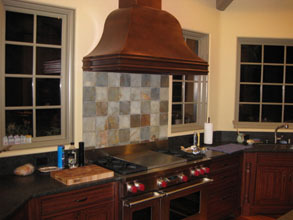 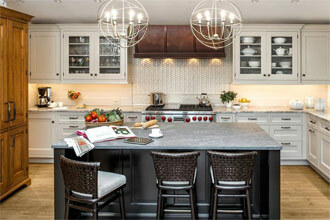 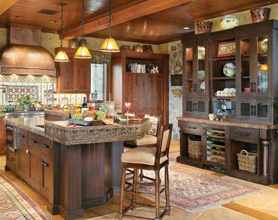 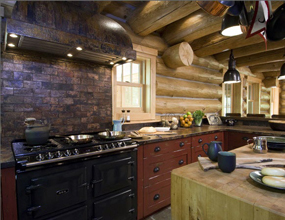 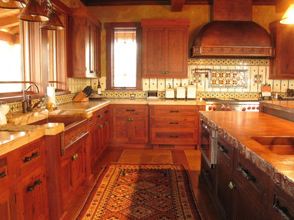 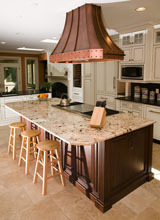 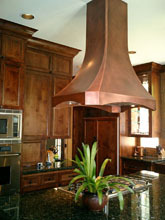 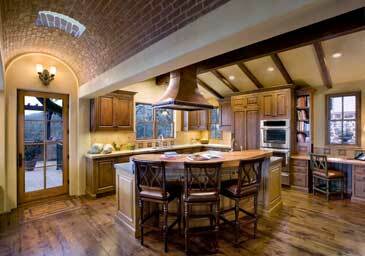 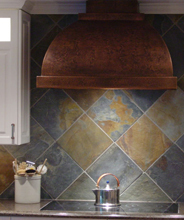 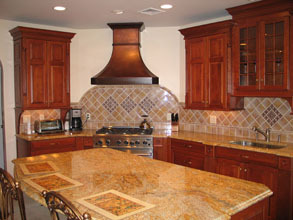 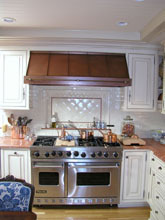 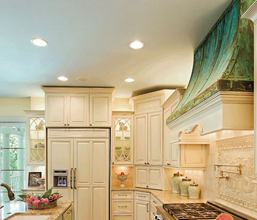 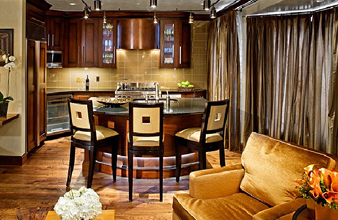 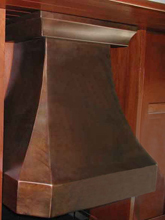 Custom Range Hoods - #2745 | Handcrafted Metal Inc. 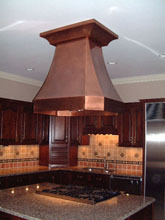 This Pyramid hood features three horizontal straps: two on the bottom band and one at the top. The straps are made from steel and have copper rivet fasteners. 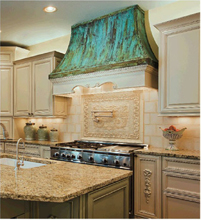 The entire body of the hood has our Hand Hammered texture and is finished with our Medium Antique patina.